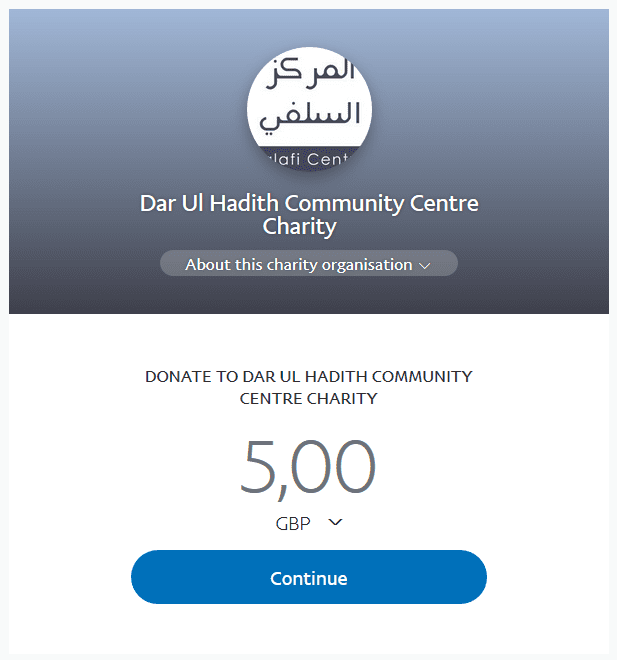 However, they did not cease to be upon this evil state of affairs until their enmity towards Saaleh (alayhis-salaam) led them to make an oath to one another that they will approach him and his family at night and murder them. 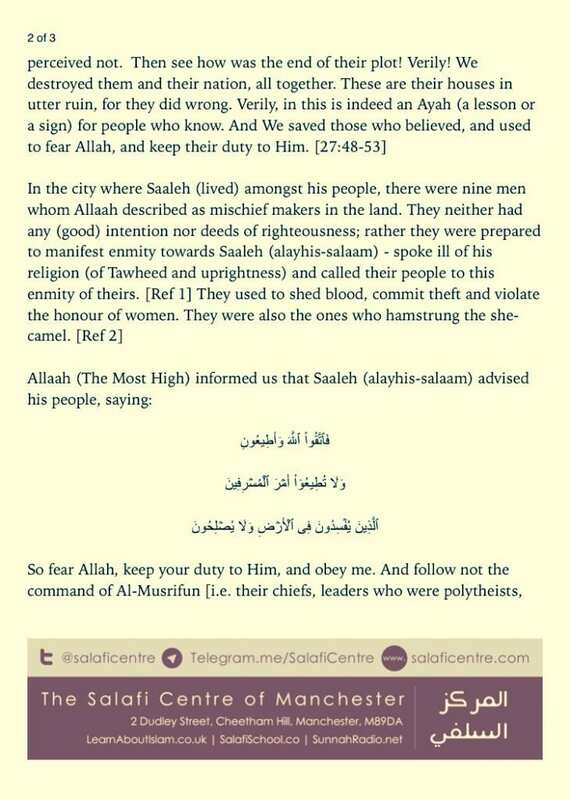 They also agreed that when they are confronted by Saaleh’s (alayhis-salaam) near relatives with the claim that they killed him, they will reject the claim and make an oath that they were truthful. 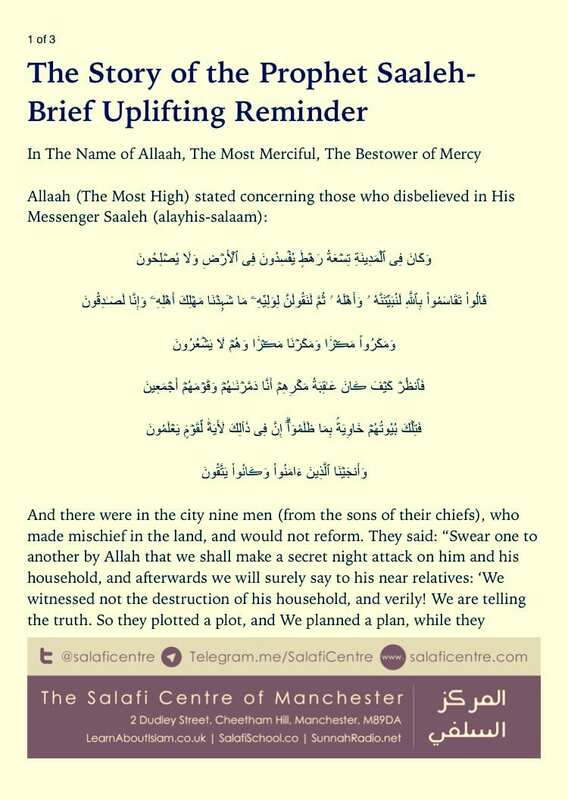 So they plotted to murder Allaah’s Prophet Saaleh (alayhis-salaam) and Allaah also planned, but Allaah saved Saaleh (alayhis-salaam) and destroyed his disbelieving people. Indeed, they never fulfilled their goal and plot. 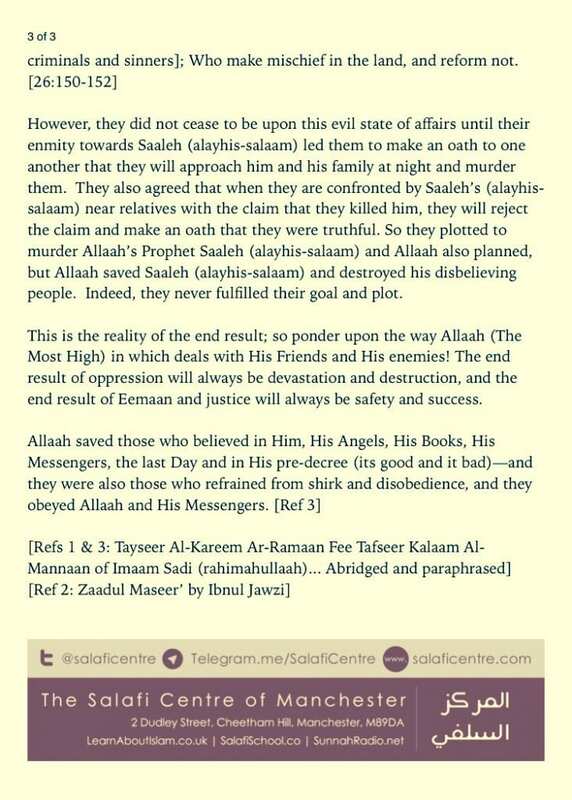 This is the reality of the end result; so ponder upon the way in which Allaah (The Most High) deals with His Friends and His enemies! The end result of oppression will always be devastation and destruction, and the end result of Eemaan and justice will always be safety and success.